It’s coming into that time of year, when everything is draped in tinsel and fairy lights, and egg nog sales soar once again. 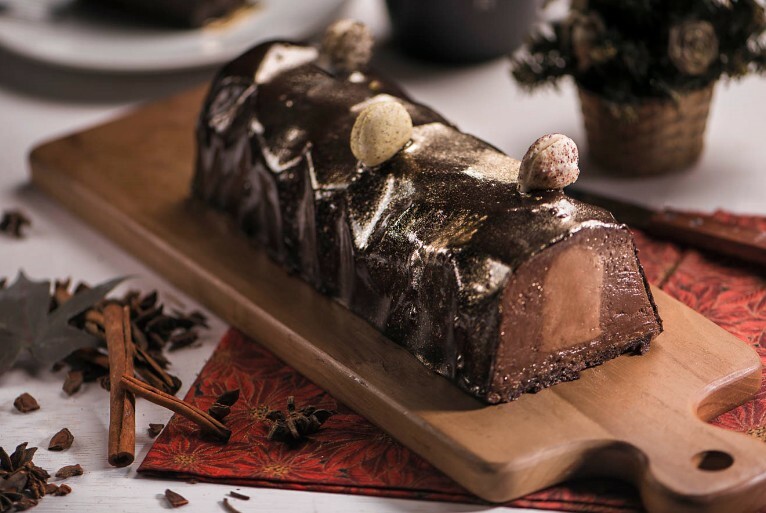 But what are Starbucks bringing to the table this festive season? Starbucks always release festive coffee cups from pretty much the second Halloween ends. 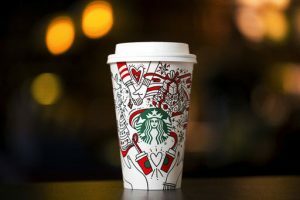 A common theme with the Starbucks Christmas cup is that they’ve been primarily red, with a whole host of characters, designs, and of course the company’s famous logo. 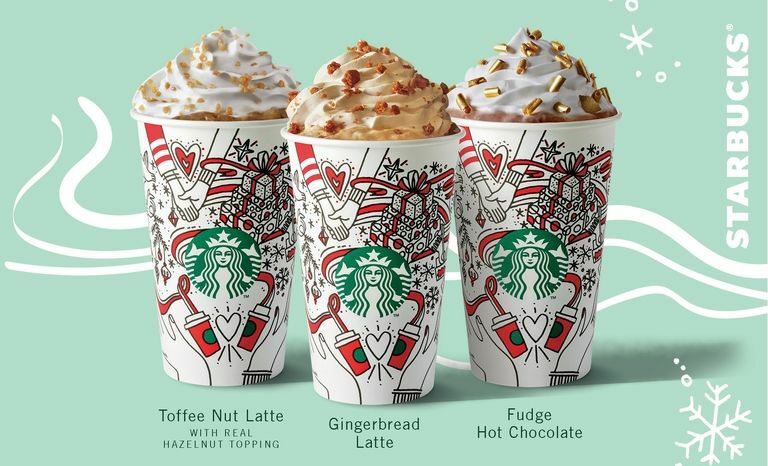 In 2015 a lot of consumers were unhappy with Starbucks minimalist cup – with many people saying it wasn’t festive enough – so this year they have upped the ante. 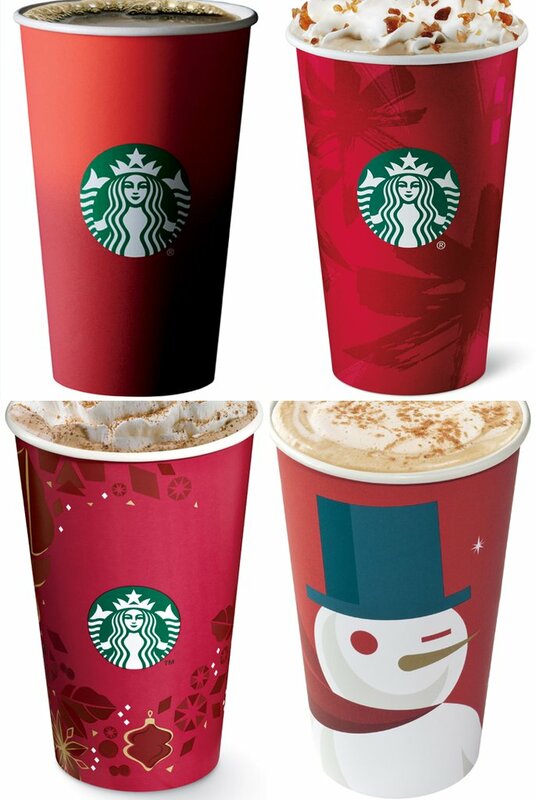 The cups design is a pair of hands holding red cups of coffee – a throwback to Starbucks original Christmas colour scheme. 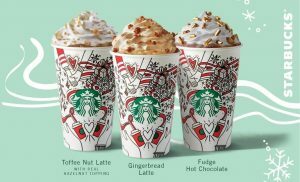 These are connected with swirling ribbons accompanied by lively holiday scenes and splashes of red and green. 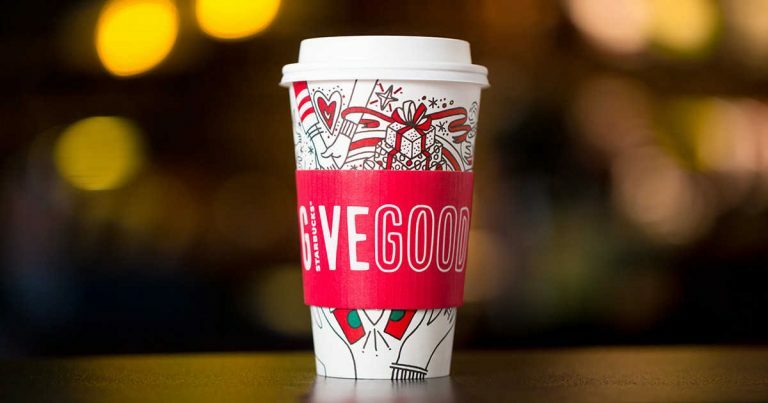 As well as the give good campaign Starbucks have launched the #CheerForGood campaign, this involves supporting 210 local community charities. Customers and charities will have until November 15th to nominate a local cause. The top 30 charities with the loudest ‘cheer’ on social media will be given £2,000, not only that but all participating charities will receive £500 just for partaking. 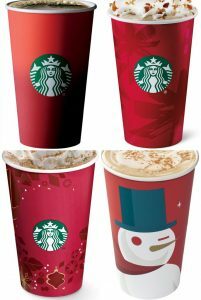 In Starbucks with Christmassy cups comes a Christmassy menu, the drinks making a return this year are; Gingerbread Latte, Toffee Nut Latte, Eggnog Latte and Fudge Hot Chocolate. A new edition to the list this year is Festive Cold Brew, combining Starbucks cold brew blend with Christmas spices, and topped with orange and cranberry pieces. 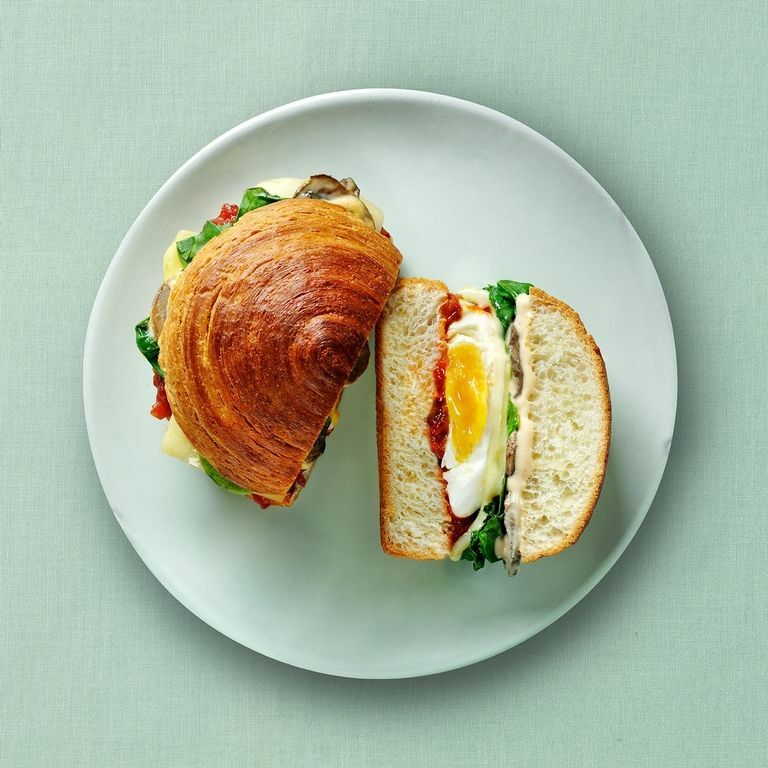 And just when you think Starbucks menu couldn’t get any more Christmassy, they go and announce their new savoury festive food range. The delicious-sounding selection includes a three cheese and cranberry panini, a turkey feast panini and poached egg and hollandaise croissant roll. And for dessert? Chocolate truffle loaf cake, maple and pecan bundt cake or white chocolate and raspberry cheese cake.